Electrical problems? Drivability issues? Do you have a dashboard warning, or error lights coming on? If you find that your vehicle isn’t working, or you’re seeing lights pop up on your light while you’re soaring over the pavement, then it’s time to get a diagnostic test to assess the issue at hand. 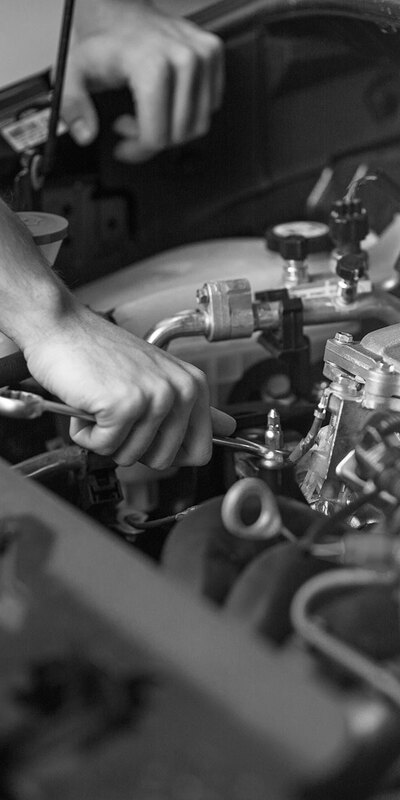 Here at Thompson Import Repair of Englewood, we provide diagnostic testing services where we’ll run a test on the diagnostic system of your vehicle, revealing any problems that may be happening under the hood. Schedule an appointment to bring your car into the shop today. We’ll run a diagnostic, let you know what’s wrong, and perform repairs as necessary. We work with a variety of makes and models, and we provide service for Acura, Honda, Lexus, Mitsubishi, Subaru, and Toyota vehicles. You can also continue reading to learn more about various dashboard indicator meanings and the services we provide. When a warning or error is reported by the diagnostic system in your car, truck, van, or SUV, it can come at the worst time, creating frustration and making you wonder what might be wrong or if your vehicle is safe to drive. Ignoring errors and warnings can eventually result in serious performance issues, emissions problems, or even engine failure. Given enough time, neglected diagnostic warnings can become critical problems that can cost thousands to resolve. Don’t drive your vehicle unless you understand the warning lights on your dash and are certain you aren’t causing damage to your vehicle or driving a vehicle that is no longer safe. You can learn more about common dashboard warnings and indicators below. While not every vehicle has the same set of warning lights, there are numerous common dashboard lights that you’ll see in various makes and models throughout the auto industry. Pay attention to the following dashboard warnings, since they indicate that your vehicle isn’t running as it should, and bring your vehicle into your mechanic if you notice any alarms. Check Engine Light: Your check engine light can be triggered from a variety of sources. Since this diagnostic component of your vehicle checks numerous engine components and operations, you’ll have to perform a diagnostic test to determine the source of the problem. It’s likely that you’ll have to bring your auto into the shop to assess the issue at hand. Battery/Electrical Light: A battery indicator may click on if your battery isn’t holding a charge, if your alternator isn’t operating as it should, or if you have another electrical issue. If this is the case, you should check the charge of your battery, and take a look at your alternator and alternator belt. You may need to replace your battery, clean and secure its connections, or repair or replace the alternator. Coolant Temperature Light: Your temperature light may blink on if your car is overheating and the coolant is too hot. Take a look at your temperature gage to see if you are redlining your vehicle — if the gage shows that the temperature is at or above the red line, you should pull over and kill the engine immediately, to prevent causing any damage to the engine. You may have low amounts of coolant in your radiator, or you may have a blockage, leak, fan problems, or another cooling system issue. If you can’t locate the source of the problem yourself, we’d be happy to take a look. Transmission Temperature Light: Like the coolant temperature indicator on your dash, the transmission temperature indicator will blink on if the transmission of your vehicle is too hot for safe operation. You may have low transmission fluid in the system, or you may have transmission fluid that is gunked up. You may also have low coolant levels in your cooling system. When this happens, heat will build up within your transmission, which can create further problems and cause irreparable damage to the transmission itself. Again, it’s best to pull over and kill the engine of your vehicle if this indicator flips on while you’re on the road. Oil Pressure Light: Your vehicle may have an oil pressure sensor that will relay whether or not your vehicle has enough oil in the engine to operate safely. If you have a leak, you’ll lose oil pressure, triggering the oil pressure light. Since oil is the lifeblood of your vehicle, keeping components from grinding against one another and reducing friction, it is crucial to add oil to your engine right away if you get a warning. You should also have your engine checked for any leaks, since this is likely the source of the problem. Oil Service Light: Over time, your engine oil will break down and gunk up. That’s why it’s imperative to have your oil changed at regular intervals, in order to keep things running smoothly. Some vehicles are outfitted with an oil service sensor which will monitor either the mileage on your vehicle or other sensors in the engine control module (ECM). The oil service sensor is designed to turn on when it is time for an oil change. If you don’t have an oil service light, you should consult your owner’s manual for oil service interval recommendations. If your light comes on, it’s time to bring your vehicle into the shop for an oil change and an oil service sensor reset. Service Vehicle Light: Your service vehicle light is an indicator that something is wrong with one of the electrical components of your vehicle. You may have a light that is out (including your headlights, brake lights, turn signals, or even your hazard lights). You may also have issues with the traction control of your vehicle. Or you may have interrupted communication between components of the body control module (BCM) of your vehicle. If you can’t locate the issue yourself, a quick diagnostic and inspection should reveal the source of the issue at hand. Tire Pressure Light: Many modern car makes and models come with tire pressure sensors that can be triggered if the pressure of any of your tires dips too low. This is usually an easy fix — you may just need to add some air to a tire or two — but it may also be an indication that one of your tires is leaking. Perform a tire pressure check on your tires (tires have a recommended pressure level printed on the rubber of the tire), and make sure all of your tires are within the recommended range. If you can’t get the tire pressure light to turn off on your own, then bring it in to an auto shop. Brake Light: Your brake light indicator may switch on if you’re having an issue with your brake system. In these instances, you may have one or more of several problems. You may have low levels of brake fluid in your brake lines, you may have an issue with the anti-lock brake system (ABS), or you may have your parking brake on still. If your parking brake isn’t fully released, simply pull it up, and try to release it again. If the brake light remains on, you’ll need a diagnostic check. Reduced Engine Power Light: If your engine isn’t getting the power that it needs, you could notice that your car doesn’t have the get-up it should when you push the gas pedal. If that’s the case, you could have an issue with any number of systems in your vehicle. You could have a faulty ignition system, a problem with the fuel system, an emissions problem, transmission issues, clutch problems, or other issues that result in this error display. It’s likely that you’ll have to bring your car in for a diagnostic test. Anti-Lock Brake Light: Your anti-lock brake (ABS) light might come on if you have an issue with this braking system. Your mechanic will be able to diagnose, fix, and reset the indicator. Gas Cap Light: Your gas cap should form a seal when it is tightened all the way. If you have a poor seal, or if you haven’t tightened the cap properly, then it will trigger the gas cap light. Try to screw on your gas cap once again and restart your vehicle. If the light doesn’t go off in a matter of minutes then it’s likely that you need a new cap. Cruise Control Light: This light is a normal indicator that your cruise control system is on. Traction Control Error and Indicator Lights: If your traction control system isn’t working as it should, then an error light will come on. You may have an issue with the electronic stability, traction control, or anti-skid system in your vehicle. You may also have a traction control indicator light that flips on when your traction control, electronic stability, or anti-skid systems are in use while driving (for example, if you’re driving on snowy roads or going off road). Security System Light: If you have a vehicle with a security system, the security light may trigger if your ignition gets locked. In these instances, you’ll need to use a transponder key to reset the system. You may also have the security system light turn on while driving, which means that you have an error in your system, and you’ll have to run a diagnostic to get it fixed. Lamp Out Indicator: Like the service vehicle light on a dashboard, a lamp out indicator will trigger if you have lights that no longer work in your vehicle. Check the headlights, brake lights, and turn signals of your car to see which lights are out. Fog Lamp Indicator: Your fog lamp indicator will turn on when you have your fog lamps on. This is a normal indicator, and it’s no cause for alarm. Door Light: If you have a door that is ajar, then your door light will turn on. Your vehicle's doors are outfitted with sensors which will indicate whether or not a door is open, so you can drive safely. You may have an issue with these sensors if your door light remains on, even after you make sure that all of your doors are latching closed. Overdrive Indicator: Your overdrive system is designed to reduce the RPMs of your engine while you maintain regular speeds. However, some vehicles have the option to turn off the overdrive component of the car, in order to gain more control. If you’ve switched off the overdrive system of your vehicle, then an overdrive off indicator may turn on on your dash. 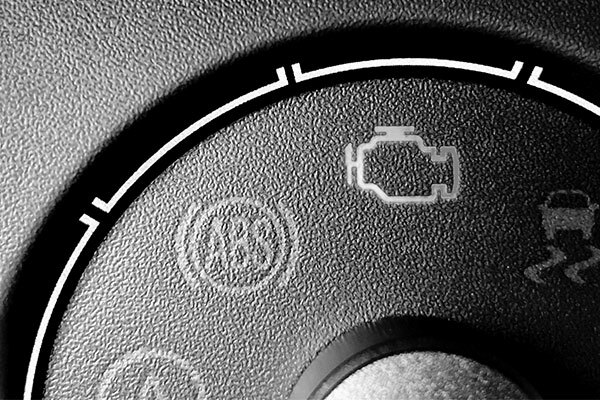 Airbag Light: If your airbag light is on, it’s an indication that your airbag system isn’t working properly, and it may not deploy in the case of an accident. 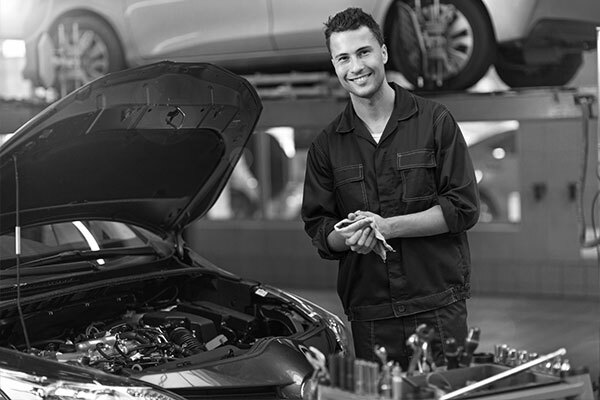 Take your vehicle into a mechanic to assess the issue at hand. Windshield Washer Light: If you have a vehicle with a windshield washer reservoir sensor, it will turn on when the washer fluid level is low. Simply pour more washer fluid into the designated reservoir to turn the light off. Glow Plug Light: Diesel vehicles are outfitted with a glow plug that needs to warm up before ignition. Be sure to heed the glow plug light before turning the ignition to fully start your vehicle. Diesel Exhaust Particulate Filter (DPF) Light: The DPF light triggers when your vehicle senses that the exhaust filter is failing. You may need to clean or replace the filter. Diesel Exhaust Fluid (DFL) Light: The DFL light may trigger if your exhaust fluid level is low. You’ll have to fill up the diesel exhaust fluid reservoir to turn off the indicator. Most modern cars, trucks, vans, and SUVs have sophisticated computers that constantly monitor the operating status of the many systems within your vehicle. If one of those systems appears to be malfunctioning or operating outside of tolerances, the computer will simply notify the driver that maintenance or service is required, without giving much more information. For example, an oxygen sensor may have failed or an intake or exhaust leak could be present — no matter the cause, if the tolerances are not correct the computer can only illuminate the check engine light on your dashboard. Because so many things can go wrong in an engine, broad categories of diagnostic alarms are used by the computer to keep things simple. To get to the root cause of whatever might be causing a diagnostic alarm, the ASE-certified technicians at Thompson Automotive will run a host of physical inspections and diagnostics to arrive at an informed conclusion about the state of your vehicle and what is needed to correct any problems. Because some issues can come and go unpredictably, we may need to keep your vehicle overnight to monitor it and duplicate the problem. During this time, we’re happy to provide complimentary shuttle rides or a loaner vehicle for your convenience. At Thompson Automotive, we have invested heavily in precision diagnostic tools needed to access the computer systems governing the operation of most vehicles. Because automotive technology is constantly changing, we have to stay current on the means and methods for modern vehicle diagnostics, including ongoing training and development for our auto mechanics. These investments provide returns for you, the customer, when you can quickly get in, get your vehicle diagnosed, learn about the issue, and schedule the service or repair. Some automotive service centers may make you believe that vehicle diagnostics are as simple as reading a code from a computer terminal and replacing a part. Due to the complexity of most vehicles, expert knowledge is needed to know where to look for faults, even when an error code has been extracted from the vehicle. This expert knowledge is what sets Thompson Automotive apart from the rest. We make sure we know what, where, and why before we recommend replacing any part or performing any service. Serving all of Englewood, Denver Metro, and the surrounding areas, Thompson Automotive is ready to work with you to diagnose and remedy whatever alarms, errors, or warnings may be present with your vehicle. Schedule an appointment for diagnostics on your vehicle today. We can assess your issue quickly, we’ll let you know about the problem at hand, and we’ll provide you with repairs right away!